According to Porinju, this is a time for mid caps and small caps. 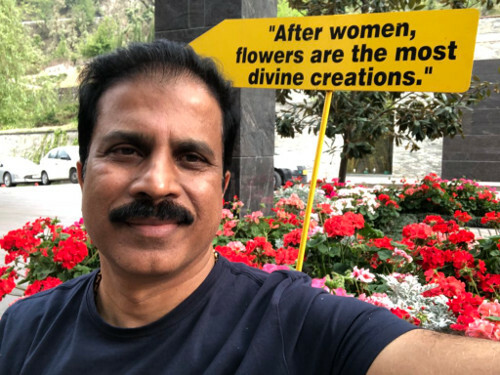 After days of continued pain, even as the midcap stocks show signs of rebound, ace investor Porinju Veliyath says that select small and midcap stocks will outperform the likes of HDFC, HUL and even Bajaj Finance, stocks which have been in vogue of late. According to Porinju, this is a time for mid caps and small caps. “After this big fall I think this is the most exciting time when I look back in the last five years. Now is the time to really look into and load, some of the very selective of course. I don’t want to generalise too much. Selective mid and small caps- it is a wonderful time to pick with a very high margin of safety than the top quality stocks today,” Porinju Veliyath told in an interview to CNBC TV18, adding that these stocks will outperform the likes of HDFC, HUL & Bajaj Finance by a significant margin. According to the expert, the midcap carnage is now overdone, and he expects them to now bounce back. “Some of the stocks have been punished excessively. We have around 3,000 companies traded in the market today in India, 1,700 companies have gone down beyond 40%, 1300 companies have fallen by 50% from the recent high, around 750-800 companies have fallen by 70%, so this is a huge unusual crash and the money is hiding, the money is attempting to hide behind the 15-20 stocks. This won’t sustain,” he told in a recent interview with CNBC TV18. In the candid interview, the ace investor said that, his performance in the current year has been poor. “I am a fund manager who has been delivering 45.2% CAGR for the last five calendar years. This year we are down, we are the worst performer among the fund management companies in India,” he told the channel. In a recent letter to shareholders, Raamdeo Agrawal of Motilal Oswal advised investors to differentiate between quotational loss and permanent loss of capital. “Permanent Capital Loss refers to a massive fall in stock price because the value of the underlying business is significantly eroded. The proxy for value is a company’s profits and profitability. Value erosion (i.e. lower profits), and hence, Permanent Capital Loss in a stock may happen due to a variety of reasons, both industry-specific and/or company specific,” he explained.